This morning cross borders with Hungary and arrive in Budapest. Enjoy the rest of your day at leisure in Budapest. Included is a one-night stay in Budapest. Today, embark your Emerald Waterways luxury river cruise ship. 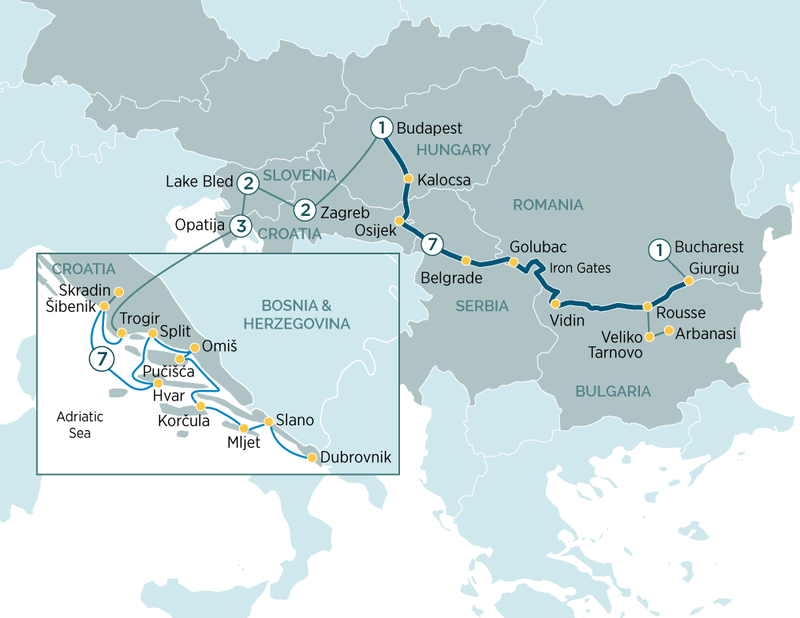 This evening, join your fellow travellers for a night–time cruise along the Danube, passing under the city’s numerous bridges.